The Union Finance Minister Shri Arun Jaitley Chaired the 25 Meeting of the GST Council in New Delhi today. 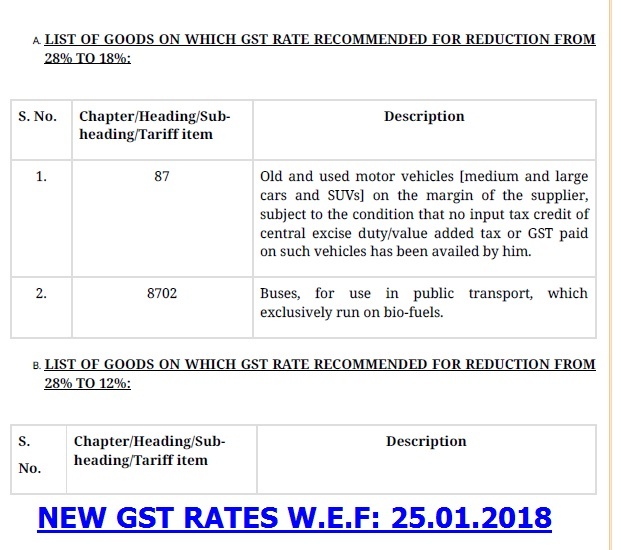 The Council has recommended certain in GST/IGST rate and clarifications in respect of GST rate on Goods specified below as per discussions in the 25 GST Council Meeting held today. These decisions of the GST Council are being communicated for general information, and will be given effect to through Gazette notifications / circulars which only shall have the force of law.